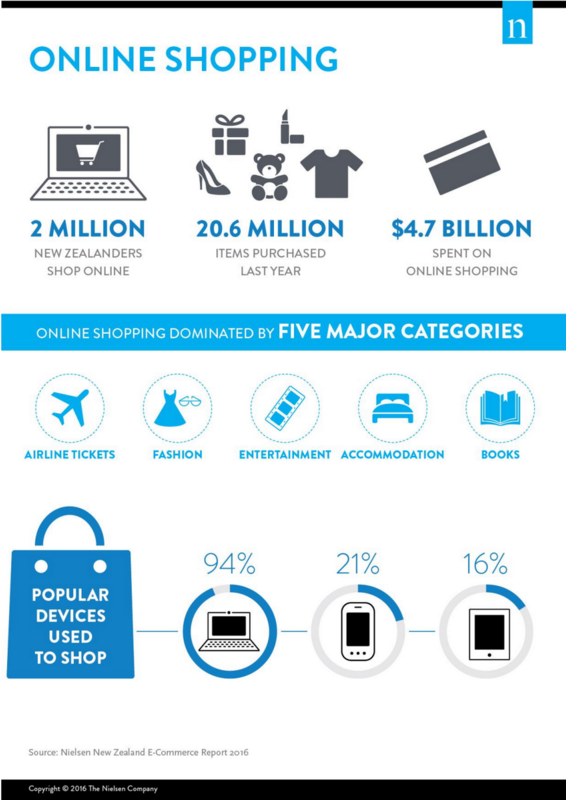 Online shopping is dominated by five major categories – airline tickets, fashion, entertainment, accommodation and books. The top brand for Kiwi online shoppers is Trade Me with more than two-in-five (44%) buying from their website. Trade Me is followed by Air New Zealand, The Warehouse, Mighty Ape and GrabOne.